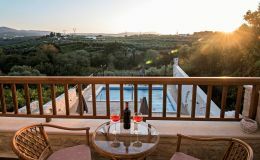 Villa Semeli (140 qm) is located in the beautiful small village Asteri, surrounded by olive groves. 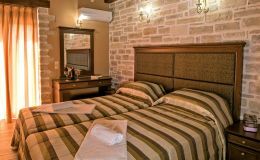 It is about 2,5 km far from the sandy beach of Sfakaki and 2,5 km from the bakery and the super market. In the village you will find a folklore museum and a traditional tavern with live music. Road map, please click here! 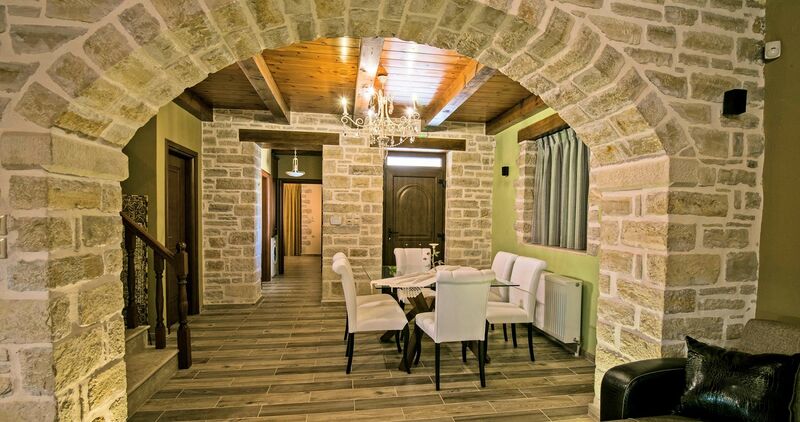 The villa was built in 2014 using organic materials such as stone and wood. 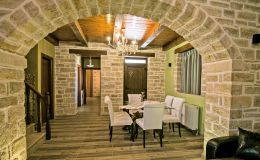 The construction of the villa corresponds to the modern statutory energy saving standards and preserves fully the traditional Cretan character and the local cultural and environmental standards. 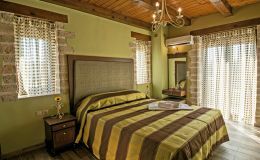 So the guest will enjoy a high level of modern comfort. 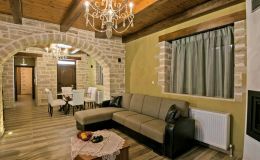 Villa Semeli has a 40 sqm. swimming pool with a separate children’s pool. 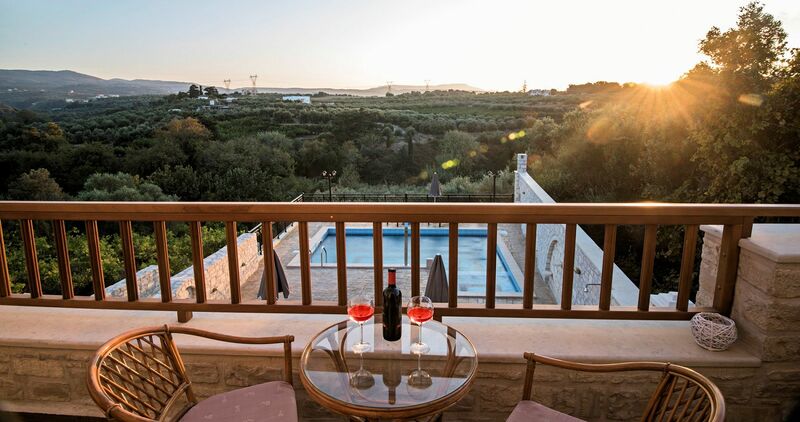 The swimming pool has a whirlpool-system and it is surrounded by sun loungers, umbrellas, tables and chairs, a barbecue and a wood oven. Ground floor: Living room with satellite TV and sound system with radio, dining room, Kitchen with balcony, electric cooker with ceramic – hob, microwave, dishwasher, toaster, coffee maker, kettle, bedroom with two beds and balcony, bathroom with shower, hair dryer, washing machine, iron and ironing board. 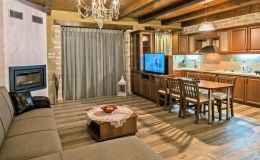 Upper floor: Two bedrooms, one with double bed and one with 2 single beds, large bathroom with bathtub and hairdryer, terrace of 20 sqm and balcony. 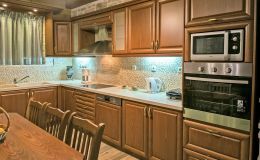 Wi-Fi Internet, safe deposit box, private parking is available. 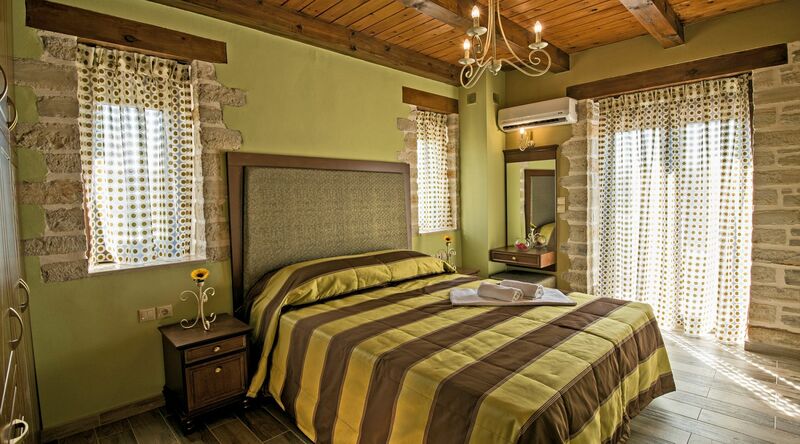 Air conditioning in all bedrooms is included in the price.